If Mafalda did not like soups is probably because her mother in Argentina never cooked for her one of the most famous in the world. She would have loved it had she tried Madrid-style stew soup, Vietnamese pho, Chinese won ton, Japanese matsuri, Mexican tortilla soup, or American clam chowder or gumbo. She could have had them cold, hot, warm or gratinéed, they are all different but they have one thing in common: you eat them with a spoon! Want to know which ones are the most traditional and tasty? 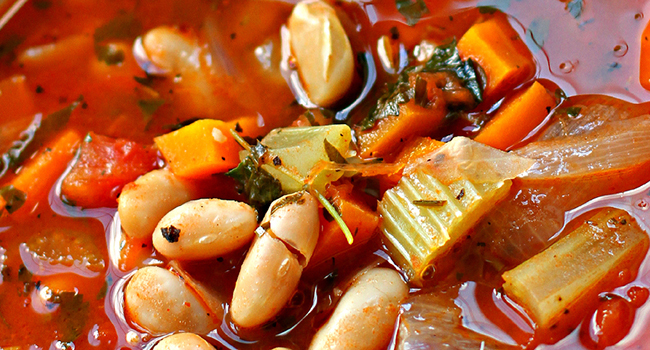 These are the best soups in Europe. Mouth-watering alert! Directly from local food markets to the tables of the best restaurants in France. Yes, the “soupe d’oignons aux Halles” was originally a humble dish that food market workers of Paris had for lunch. During the 19th century, it spread among the revelers visiting the bars and taverns in the neighborhood. Its secret lies in how they prepare the onions, very slowly caramelized in butter. The traditional recipe is already delicious but there is also a version called “gratinée” which is covered with a piece of grilled cheese toast. And it is as incredible as it sounds! In France there is also other famous soups, such as Vichyssoise, Touraine in Dordogne, or Bouillabaisse in Provence. In Spain, farmers in Castilla y Leon, instead of using onions, they employed garlic to create a full breakfast to make them strong enough to withstand long hours of work. Yes, garlic soup for breakfast! You cannot imagine more humble and austere ingredients: olive oil, stale bread loaf, paprika, garlic and generally, one egg added at the end so that it is poached. Very rarely they could incorporate small pieces of ham and bacon, but that’s another story. Although most garlic soups are the same as the Castilian one, there is a essential difference in their preparation, the moment when you incorporate bread to the pot. “Seven virtues have soups, they take away hunger, thirsty they make you little; they make you sleep and digest; never annoying and always pleasing; and they will give you a red face,” Ricardo de la Vega wrote. Mousaka, tzatziki, spanakopita, dolmadakia or yemista are some of the most typical dishes of Greek cuisine. But the most traditional of all is missing in this list. 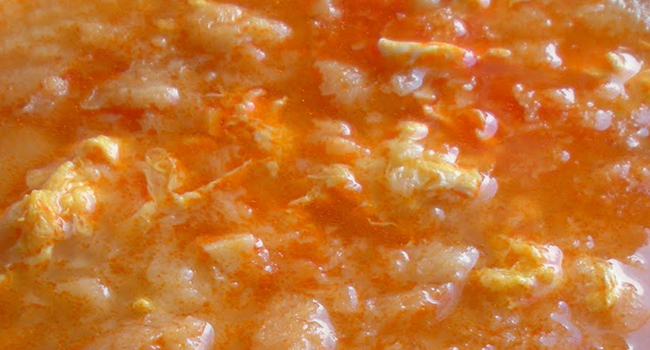 The fasoulada is Greece’s national food. A strong vegetable soup that, in its most extended version, does not include any meat because it was an Easter recipe originally. Did you guess that? This soup made out of beans, tomatoes, carrots, celery, parsley and bay leaves is a strong, natural, and widespread dish and there are hundreds of ways to prepare it, but everyone seems to agree that the key is to be generous with the olive oil. 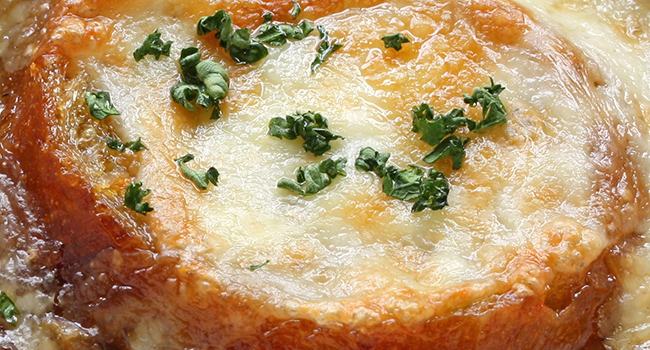 There are also areas of Greece where they add a bit of cheese to give it a creamier texture. A very complete dish indeed! 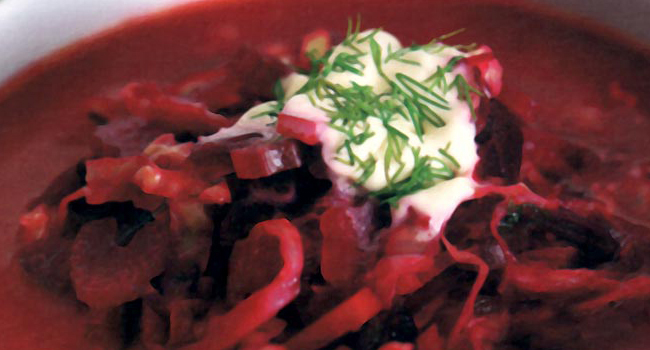 But there are still many more… Borsch soup is very typical in Russia and the Ukraine. You will recognize it for its color -deep purple- because it is made with beets and sour cream. In Bulgaria, you have the tarator cold soup, which is prepared with cucumber and yogurt to make it very refreshing. In Hungary you can have the traditional goulash soup. You eat it with bread, almost like a sandwich. Are you going to try them? Which one is the first on your list? Cold, hot, warm or gratinéed. They are all different but you eat them with a spoon! 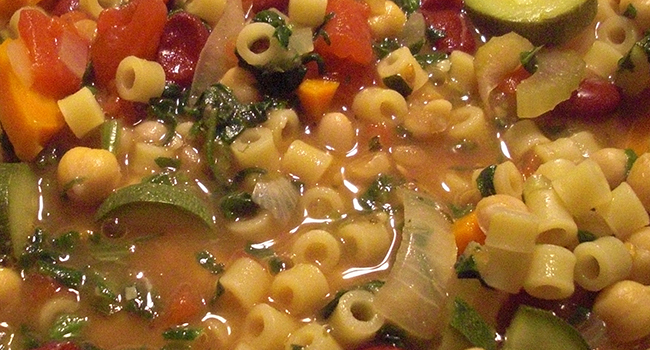 Which ones are the most traditional and tasty soups in Europe? Yummy!! !